GROWING up, Katlego Thwane (22) never had the opportunity to partake in school activities. But that didn’t stop him from being a darling of many parents when he organised a spelling bee competition with Atlegang Bana, his foundation. Atlegang Bana offers learning materials to children and a chance to win trophies. The spelling bee took place at his parents’ house at Dobsonville, Extension 2, Soweto. More than 65 children, from grades 1 to 7, from his foundation and other centres, competed for prizes. 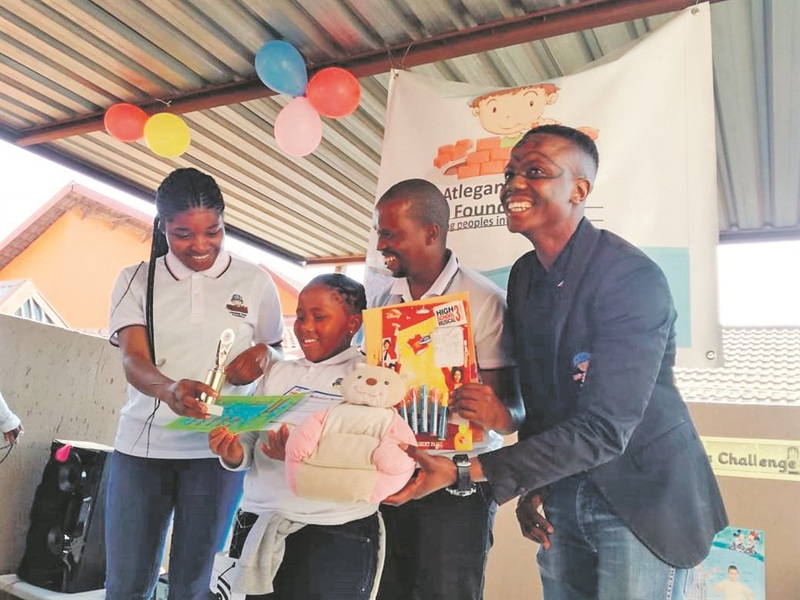 “I love education and my aim is to boost literacy,” said Katlego, a grade 3 teacher at a school in Ormonde, south of Joburg. His two dreams are to organise spelling bees and maths marathons. “I was too shy at school to take part in activities. “While my lack of confidence meant I missed many opportunities, I realised I should give other kids the same chances I had,” he said. Katlego plans to make the spelling bee an annual event. Spelling bees enable children to learn new words, their definitions, pronunciation and their origins. Katlego says the competition also helps attendees gain confidence to speak in public and encourages parents to motivate their kids at home. Pinkie Mnyandu, mum of Lehlohonolo Leaba, the overall spelling bee winner, said: “Lehlohonolo does everything on her own.